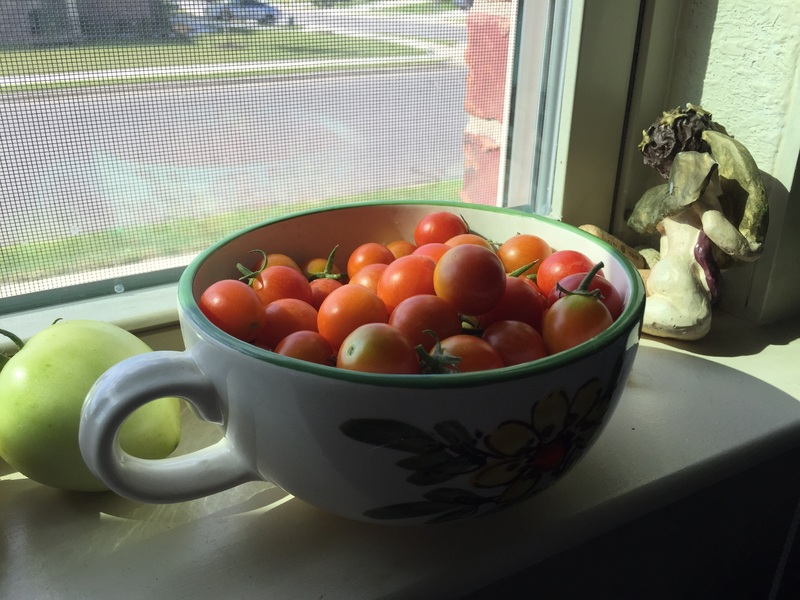 On this hot, summer Saturday, I’m happy to report that I’ve got a windowsill full of tomatoes from my garden. But looking at the forecast for the next week to 10 days, I think it’s going to take a lot of extra water to keep that sill full of the red fruit. 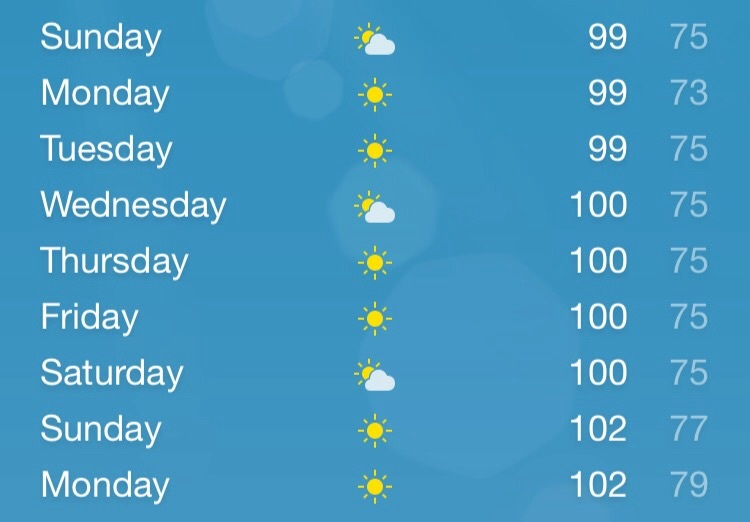 In a word, it’s going to be hot next week. For the first time since our family moved to central Texas almost a year ago, the forecast calls for numerous consecutive days at or over 100 degrees. We saw a few 100-degree days last August, but I’m told it was a relatively cool summer by Texas standards. The same has been true for this summer, although I think that’s about to change. Don’t get me wrong, I’m not complaining about the heat (yet). I’ll gladly take a month or two of really hot temperatures if the trade-off means a growing season that extends from March to November — or longer. And none of the bitter cold, sub-zero temperatures that actually can make it hard to breathe. 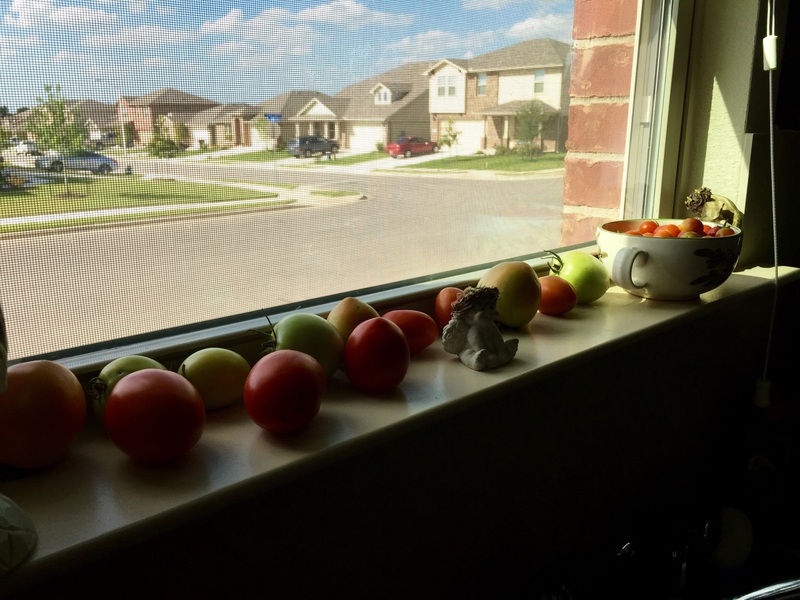 I just hope I can pay enough attention (read: water, water, water) to my tomatoes so that all the remaining green ones ripen, and they, too, can have the honor of filling my grandmother’s bowl on my windowsill. Will watering in the morning before I go to work, and again in the evening be enough? I know that tomatoes like heat, but it remains to be seen whether they like day after day of 100 degrees. I hope so, because I really want them in my kitchen. 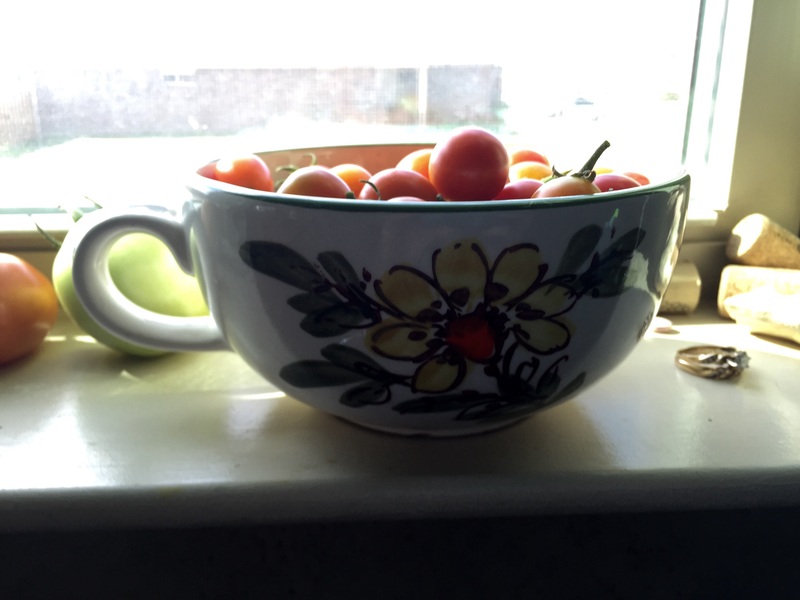 Cherry tomatoes get the honor of sitting in a bowl that belonged to my grandmother. Cherry tomatoes from my garden.